SHENDON - Atlas designed to illustrate Burritt's Geography of the Heavens. . . 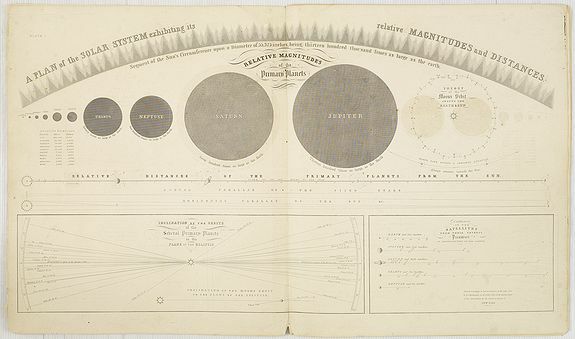 Title : Atlas designed to illustrate Burritt's Geography of the Heavens. . .. Date : Shendon, New York, 1856. Size : 16.5 x 14.2 inches. / 42.0 x 36.0 cm. Description :Star Atlas with 8 charts, partially hand-colored. By the beginning of the nineteenth century more than one hundred thousand stars had been discovered. The Atlas designed to illustrate the geography of the heavens of Elijah Burritt was first published 1833. The constellations feature prominently on Burritt's maps, with the emphasis on naked eye astronomy. Elijah Burritt (1794-1838), a Connecticut schoolteacher, created his atlas as a low-cost alternative to celestial globes, which were then the preferred means of teaching astronomy but were too expensive for many schools to afford. Along with its accompanying textbook The Geography of the Heavens, Burritt’s atlas sold for $1.25 in 1833 — more expensive than other introductory astronomy texts but still much cheaper than a globe. The atlas proved immensely popular. This 1856 edition of Burritt’s atlas is composed of six celestial maps, including two hemispheres (centered on the equatorial poles), as well as a Plan of the Solar System Exhibiting its Relative Magnitudes and Distances and a Celestial Planisphere or Map of the Heavens. They show the skies visible from North America during specific months of the year, and are titled accordingly. The Geography of the Heavens remained in print until 1876. Kanas, N., Star Maps, p. 277-78. Kidwell, Peggy Aldrich. Condition : Paper slightly age-toned, original paper cover slightly browned and separated and small pieces of paper missing. Star Atlas with eight star charts, partially hand-colored.